Did she just say "Welcome to the rebellion, Wade?" [Punctuation mine.] Massive eye rolls. Lowering expectations. And was that a board room scene? Did no one learn from Iron Fist?! ?No, no showing Chucky did not make up for that. What's more fun than the second trailer for Ready Player One, directed by Stephen Spielberg? 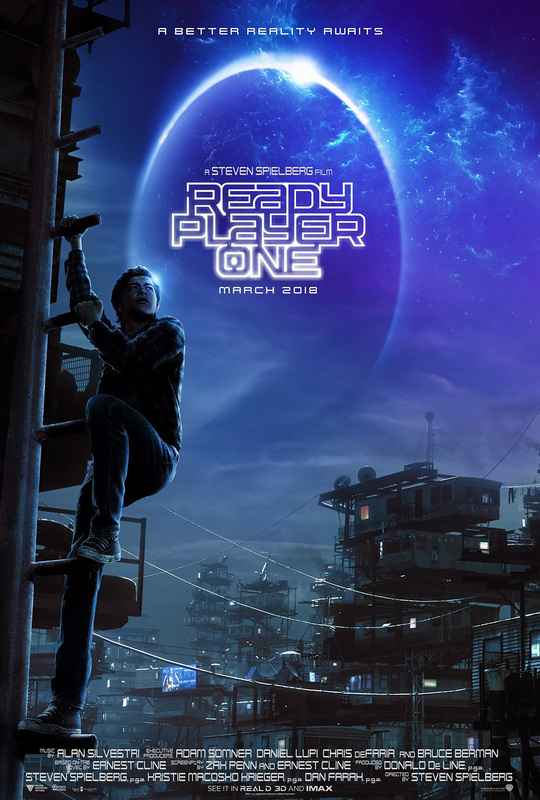 Why this shiny new poster they also just released which has the internet rolling on the floor from too many LOLs; what is going on with Wade Watts' one leg? The jokes begin here, but please feel free to carry them on in the comments. Ready Player One tries to prove March is not a dull month when it bows 3.30.18.